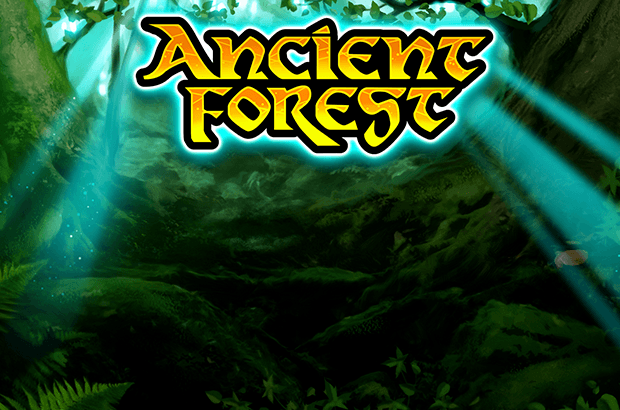 Play Ancient Forest online for free now! In this slot with 10 win lines on 5 reels you turn into a forest dweller who roams a mysterious grove. These ancient, magical woods are brimming with profitable symbols, generous fairies and juicy winnings. It's another masterpiece from the ingenious slot creators Novomatic that has taken its rightful place in our game universe! 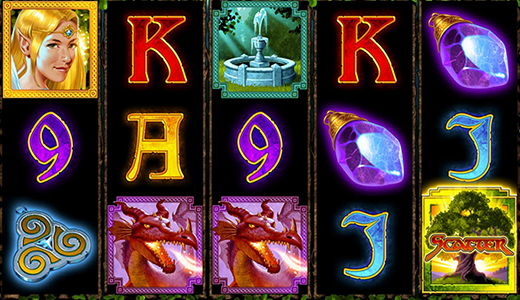 This game deserves to be part of our slot range because it features thrilling graphics, stunning gameplay as well as appropriate symbols (the Fairy symbol is the most profitable, followed by the Dwarf, the Dragon, the Spring and the Amulet). This age-old forest has a lot to offer: it houses beautiful fairies and a progressive jackpot as well as lucrative Free Games. Added to this magical selection of symbols in Ancient Forest online is the Golden Tree Scatter symbol. Your aim with Ancient Forest online is to land at least 5 matching symbols side by side from left to right along a win line because this will boost your account balance as if by magic. Count yourself lucky if the Golden Tree (Scatter) puts in an appearance, because this symbols pays in any position regardless in which order it lands on a win line. Scatter wins are multiplied with your total bet and added to the line wins. The Fairy symbol substitutes for any symbol (except for the Golden Tree) and doubles your winnings. You can‘t see the wood for Golden Trees? That‘s a blessing in this game because it means you will be showered with winnings. 3, 4 or 5 Golden Trees (Scatter) trigger the bonus feature where you can bag 20 free games and a double win multiplier boosts your account balance. If 3, 4 or 5 more Scatter land on the reels during the bonus game you earn further free games. This mysterious forest is one of a kind! Where else can you find a progressive jackpot for all stakes and currencies surrounded by trees? To take this jackpot home you need to be on good terms with the beautiful forest dwellers, because you need 5 Fairy symbols: Maximum bets pay 100 percent of the jackpot; relevant shares of the jackpot are paid for smaller bets. The main prize: 20,000 times your bet per line times win lines played plus a share of the jackpot. The Romans were a brave people. Nothing knocked their sandals off except for the vast, dark forests of Germany, where unspeakable things allegedly happened. Of course, Julius Caesar and his loyal legions had never heard of the slot machine Ancient Forest, otherwise they would have appreciated the forest so much more. They only thing to fear in this game is that your player account will overflow with winnings. Or maybe that you can‘t see the wood for the winnings. All this is good news though, as you would expect from an enchanted forest buzzing with fairies!